Today's guest post is by Patrice, a faithful contributor and enthusiastic fellow kayaker. You can follow her adventures on Life Less Ordinary. 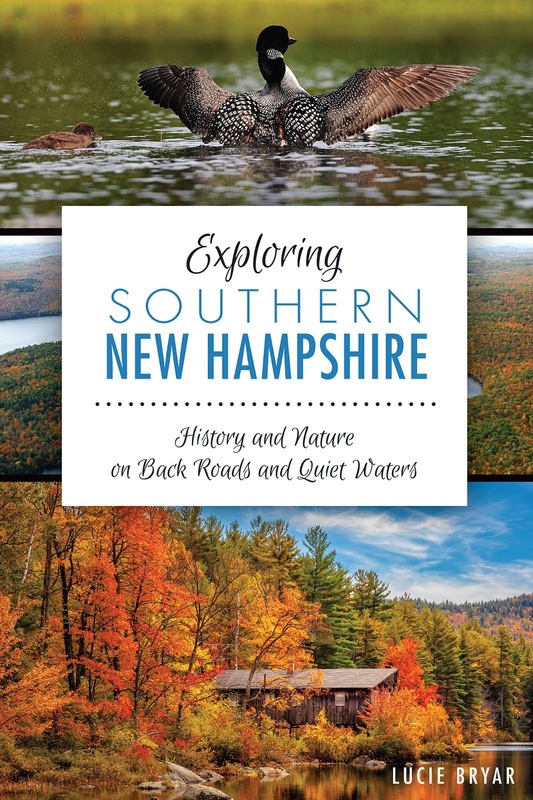 The Merrimack River flows 60-plus miles through New Hampshire, offering everything from flatwater to Class III rapids. The Merrimack has a little bit of a bad rep because of years of pollution, but it's improved a lot during the past 30 years. Justin and I explored about 15 miles from Franklin to Penacook in two different trips this month. The first trip was from Boscawen to Penacook, offered as a guided trip by the Merrimack River Watershed Council (MRWC). Have you heard of them? If not, and you like kayaking or canoeing, you need to go check them out now. The Concord Monitor recently did a story on them, so I think they are getting more exposure. The organization offers free guided trips on many rivers and other waterways around the state from April through October. You don't have to be a member to join the trips, but of course, they would welcome your membership. This year, they are sponsoring 36 trips! Our first trip with MRWC on the Merrimack was supposed to be an overnighter. However, it turned out to be the one weekend all summer that we got much-needed rain in the form of scattered thunderstorms. Since we live close by, Justin and I opted to make it a day trip. The trip leader, Nancy Gero, camped on a beach where a local farmer allows camping. Despite the rain, the paddle was close to perfect. Quiet. Scenic. There are a few sandy beaches along the way (including the one where many people camp). We only saw two houses and the rest of the scenery was mostly untouched forest and farmland. We even saw some beavers, herons, and cranes, which is always a nice treat! The next MRWC-sponsored trip for this section of the Merrimack River is September 27th, led again by Nancy Gero. Things to Know Before You Go: The put-in for this section is the public boat launch in Boscawen. Heading north on Route 3, the launch is just past the county jail. The take-out is in the Rivco Boat Ramp in Penacook at the corner of Merrimack and Penacook Streets. No restrooms at either site, but ample parking. The next weekend, Justin and I kayaked a six-plus mile section of the river from Franklin to Boscawen. I think the MRWC offers a guided trip, but we decided to tackle it on our own, following Nancy's advice about what to expect. The last three miles was deeper and slower-moving. While the shoreline on this section was scenic with few houses and more herons, cranes and beavers, we could hear road noise for most of the trip, making it less desirable for us. I think we passed one or two sandy beaches where you could stop for a picnic lunch. Things to Know Before You Go: The put-in for this section is the public boat launch in Franklin, off Route 3 behind the high school. The take-out is the public boat launch in Boscawen (the same one we used for the put-in for the first trip). Again, there are no restrooms, but there's ample parking.